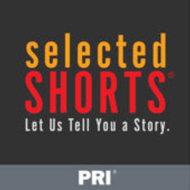 Selected Shorts, a weekly public radio broadcast, has a simple approach: great actors read great fiction in front of a live audience. The acclaimed national radio program will air on 150 public radio stations in 29 states, attracting over 300,000 listeners each week through the live show and podcast. It is produced by Symphony Space and distributed by Public Radio International.